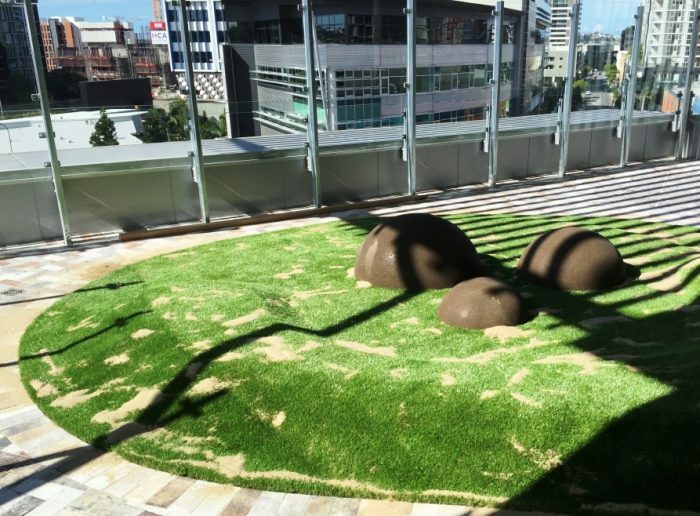 Through Landscape Architects Lat27, we were asked to support the design process with technical expertise to help achieve a nature based play facility in 2 multi story city buildings. 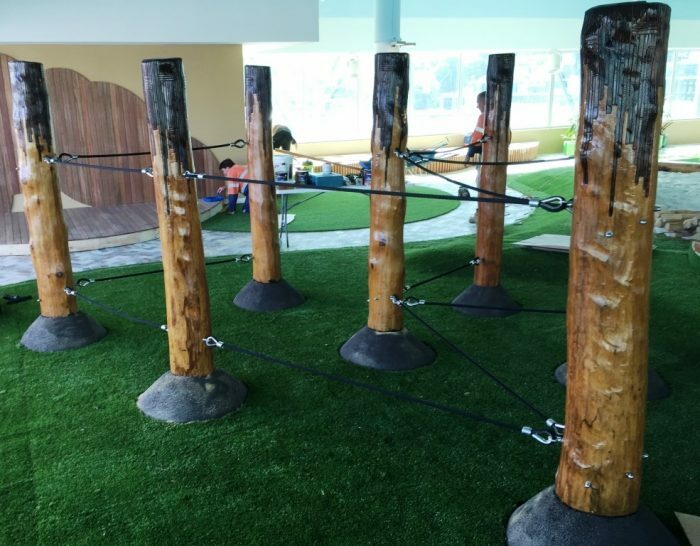 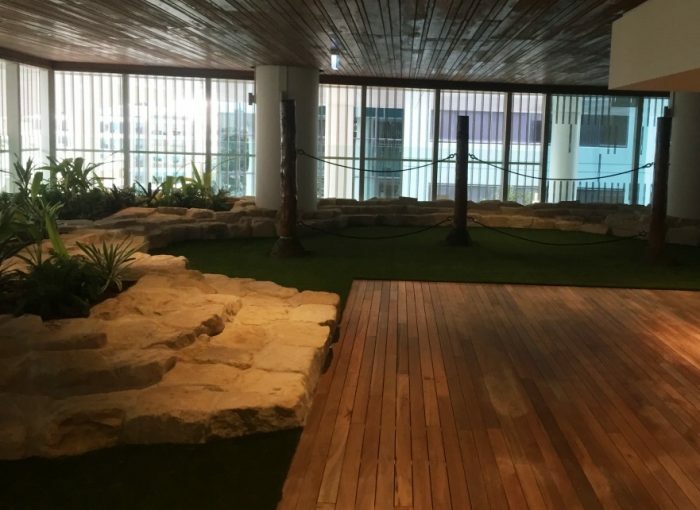 At Guardian Childcare’s Newstead facility, we have incorporated hand carved timber totems to create a Rope Run which encourages balance and exploration, complementing other totem features which blend through the space. 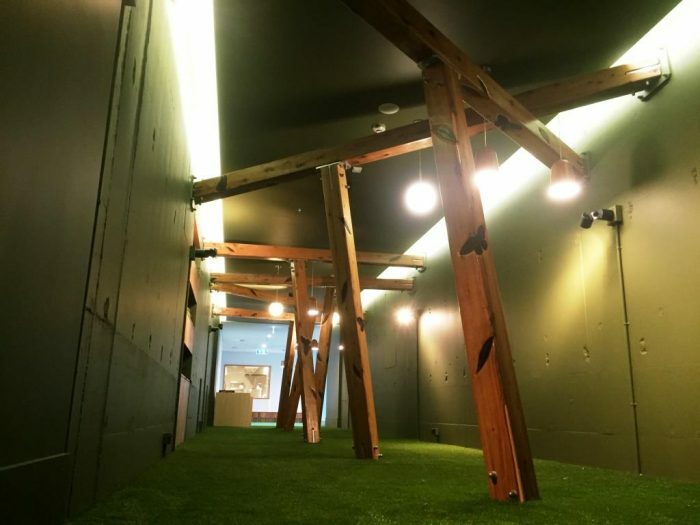 An artificial turf mount with crawl tunnel adds to the outdoor feel that has been successfully achieved through the space. 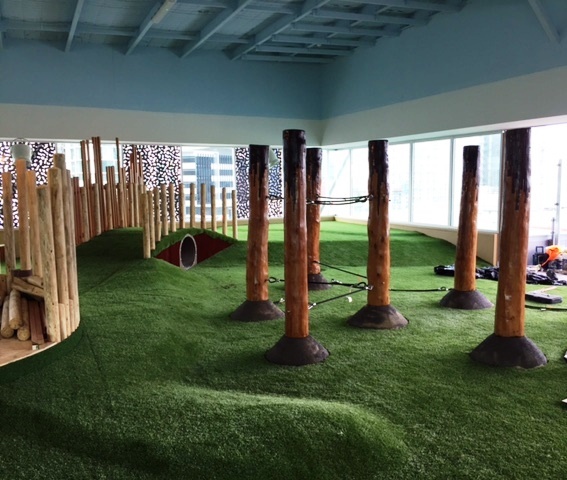 In order to incorporate the timber totems into an artificial environment, Playscape Creations was required to create a custom base plate for each timber section – laser cut and hot dip galvanised, each totem was bolted and 2 pack epoxied into its corresponding support plate before being installed on site using bolted connection details to the suspended slab. 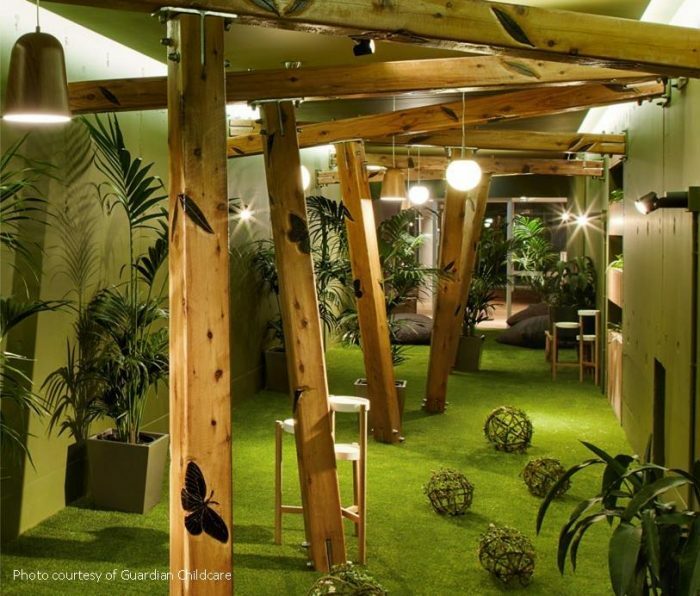 At their Queen Street centre, the idea of bringing a nature inspired corridor was achieved through the use of custom carved timber arbours that incorporated hand carved artwork. 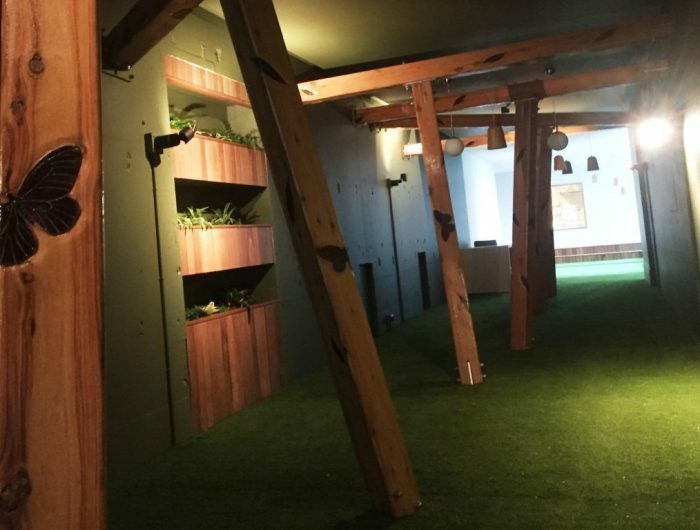 This visual and tactile experience was highlighted by the use of key feature lighting with variable fade settings to bring life to the space and create the most life like “forest style” experience possible. 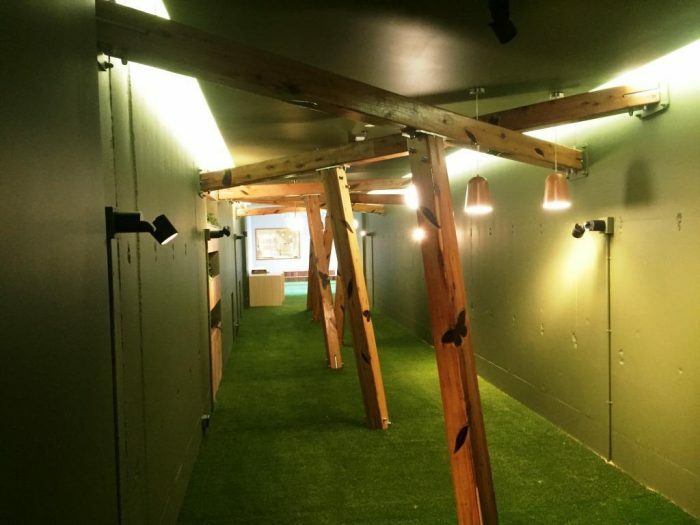 The randomness of the spacing and angles of each individual beam was achieved through the use of 3D CAD modelling of the space to create custom fully engineered mounting brackets which secured the timber to the concrete walls. 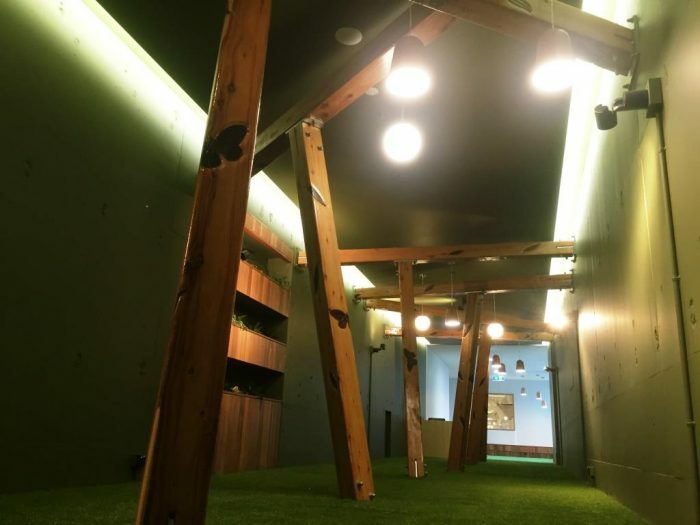 With anti-graffiti 2 pack epoxy adhesive finish, this structure has the best opportunity to stay clean and in pristine condition to be enjoyed by all users. 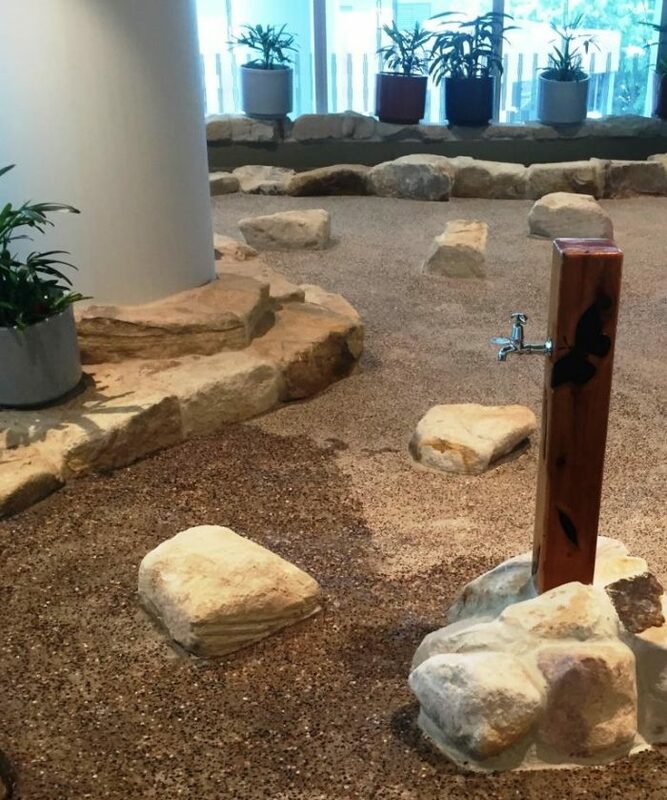 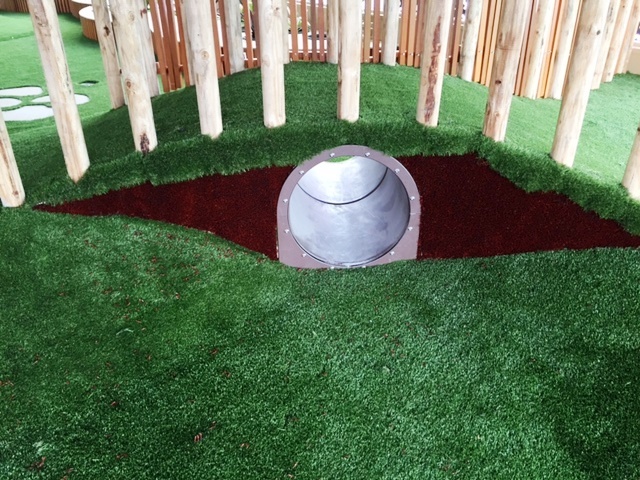 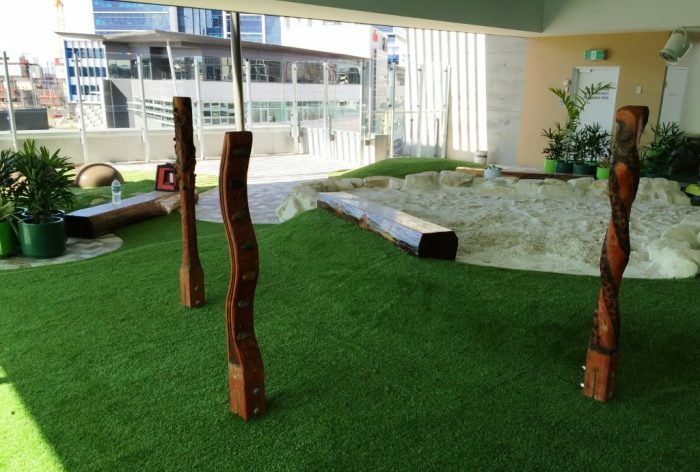 Through our engineering and design customisation capabilities, Playscape Creations are able to provide the marketplace with natural themed features and play items that work seamlessly in an artificial environment.